Clear all jellies and reach 10,000 points to complete the level. This level has medium difficulty. 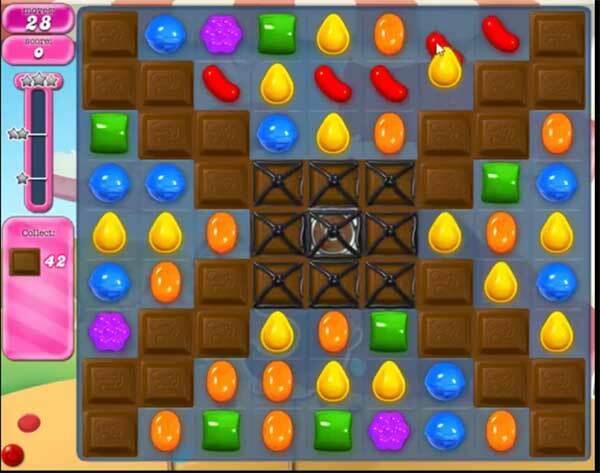 For this level try to play near to chocolates and break middle grills by play near to them. After play more from the bottom to shuffle the candies as it will give more chance to make special candy. Combine them with each other to break more chocolates. I have completed this level several times but it will not move to 1656. why???? I burst all chocolates and it still says I have more to burst! Why??? ?